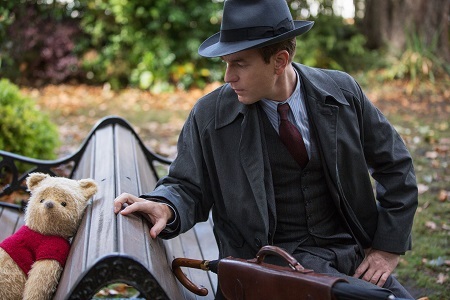 Christopher Robin (Ewan McGregor) has put childhood behind him seemingly for good. 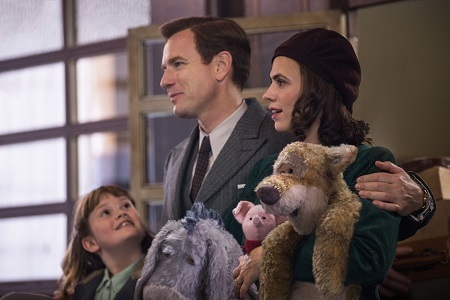 An efficiency expert supervising the luggage manufacturing department of a massive international conglomerate located in London, he’s a shell of the man wife Evelyn (Hayley Atwell) fell in love with before WWII. Worse, he’s quickly becoming less and less the beloved father he once was in the eyes of his daughter Madeline (Bronte Carmichael), the whip-smart youngster starting to wonder why she spends so much time trying to make him proud of her when he so rarely notices any of her achievements. No, it’s clear Christopher Robin isn’t the wide-eyed and imaginative youngster who made friends with a variety of fantastical creature back in the Hundred Acre Wood when he was a six-year-old, and it’s starting to look like he’s going to stay detached from that child for the foreseeable future. Thankfully, Winnie the Pooh (voiced by Jim Cummings) has come looking for his one-time best friend, journeying all the way to London to get his help. All of his Hundred Acre Wood pals, Piglet (Nick Mohammed), Eeyore (Brad Garrett), Rabbit (Peter Capaldi), Owl (Toby Jones), Kanga (Sophie Okonedo), Roo (Sara Sheen) and Tigger (Cummings), have disappeared, and this bear with very little brain isn’t sure how to find them. 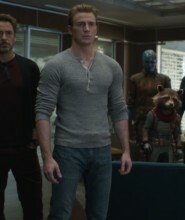 But he knows Christopher Robin will have the answer, and even if he does look a little bigger, a little stranger and little wrinklier, he’s still the greatest friend a silly old bear like Winnie the Pooh could ever hope to have. I adored Christopher Robin. A sweet, surprisingly charming continuation of the stories featuring the classic characters created by A.A. Milne and E.H. Shepard once upon a time, director Marc Forster’s (Finding Neverland, World War Z) delightful little fairy tale is a glorious surprise. Even with a story and script credited to five different writers, a list which includes the likes of Alex Ross Perry (Queen of Earth), Allison Schroeder (Hidden Figures) and Tom McCarthy (Spotlight), there is an ebulliently innocent joy to this film that’s difficult to describe. 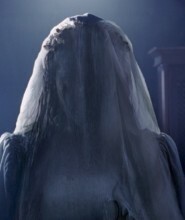 It just made me feel good as I sat there and watched it, and even if the basic plot mechanics are familiar in their rudimentary minimalism there is still a warmhearted gracefulness to this tale that makes watching things play out to fruition easy to do. The conceit itself is presented with matter-of-fact certainty. Winnie the Pooh and the other residents of the Hundred Acre Woods might have begun their lives as imaginary playmates conjured up by Christopher Robin as a child, but whether by magic, sheer force of will or something even more extraordinary somehow they’ve all come into literal existence. 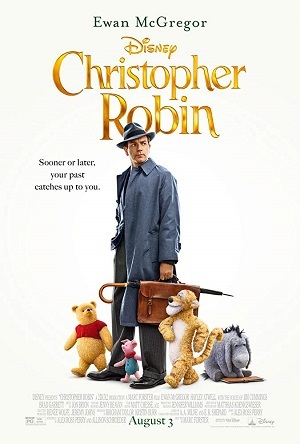 An adult Christopher Robin can’t just see, touch and hold Pooh, so can everyone else. As such, for obvious reasons this husband and father starts to question his own sanity, but not so much so he’ll refuse to help the stuffed with fluff bear as best he can. That’s the secret to the movie’s success. While it traffics in any number of familiar themes relating to adulthood, marriage, overwork and parenthood that are as comfortingly familiar as a screening of It’s a Wonderful Life a few days before Christmas, the way it treats them with straightforward authoritative conviction is divine. Christopher Robin, for all his insistence that he must put his work first above even his own family, at his core he understands that a friend in need is one he must bend over backward to help. After his initial shock in regards to Pooh’s existence subsides, his primary instinct is to help his childhood friend. No debate. Less hesitation. There’s a task to be done and Christopher has to do it, and in doing so rediscovers a side of himself he came perilously close to losing forever. There’s not much more to it. Christopher feels he must hide this unexpected adventure from his wife and child only to realize that by doing so he’s closing off an important part of who he is from the ones he loves most. He’s driven to put work first because he believes doing so will make life better, not only for Evelyn and Madeline, but also for the employees in his department who he feels duty bound to protect. He forgets about the simple things in life, about the friendships that made him who he is and in the quiet certainty that doing nothing is in some instances the greatest form of something a person can accomplish during a given day. Most of all, Christopher is reminded that home truly is where the heart is, and that no matter how hard he works to give his family financial security none of that matters if he isn’t also present in their day-to-day lives in order to share their ups, downs and gloriously uncertain in-betweens right alongside them. I wish Atwell had been given more to do, and I was never altogether certain what was going on in Evelyn’s life or what her passions outside of caring about Madeline and Christopher might have happened to be. There are vague allusions that coming out of WWII she became an artist of some sort but that’s pretty nebulous to say the least, and if not for Atwell’s emotionally astute performance I doubt there’d be all that much to talk about as it pertains to her character. I also found Christopher’s solution to his vexing workplace conundrum, even for a sweetly simplistic Disney drama, to be a tad underwhelming, and I can’t I say bought into it with anything close to fervent sincerity. Not that it mattered. McGregor is delightful as adult Christopher Robin, watching happiness and awe reenter his life with such boisterous enthusiasm making me grin in obvious glee. I was also taken by young Carmichael. There’s a scene where she meets Pooh, Eeyore, Piglet and Tigger for the first time and the actress plays it with such articulate charm I was positively beaming. Later on, she shares a moment with McGregor after an energetic chase through the streets of London that’s melodiously understated, the two actors sharing a heartrending connection that leapt right off the screen. Christopher Robin never rises to the same rarified level of magnificence that Paddington 2 did not so long ago. The script’s various scenes and transitions from one writer to the next do show at times, and not every piece fits into the worldview Milne brought to his timeless stores as comfortably as I always wanted them to. But this movie touched my soul, speaking a language that swept me back to my own childhood days where my mother lovingly read The Complete Tales and Poems of Winnie-the-Pooh to me before I went to sleep for the night. Now, what about lunch?